Have you read the new book that's out? 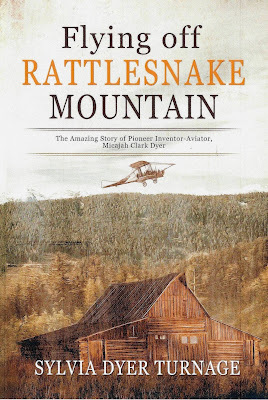 It is "Flying off Rattlesnake Mountain" by Sylvia Dyer Turnage. 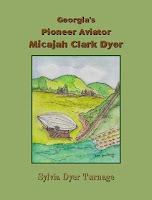 It's a narrative non-fiction story that follows the life of Micajah Clark Dyer and how he came to have a remarkable theory about flying, the roadblocks he encountered as he toiled to bring his vision to fulfillment, and the ridicule he endured from some people who couldn't understand the possibility of a machine that would fly through the air. 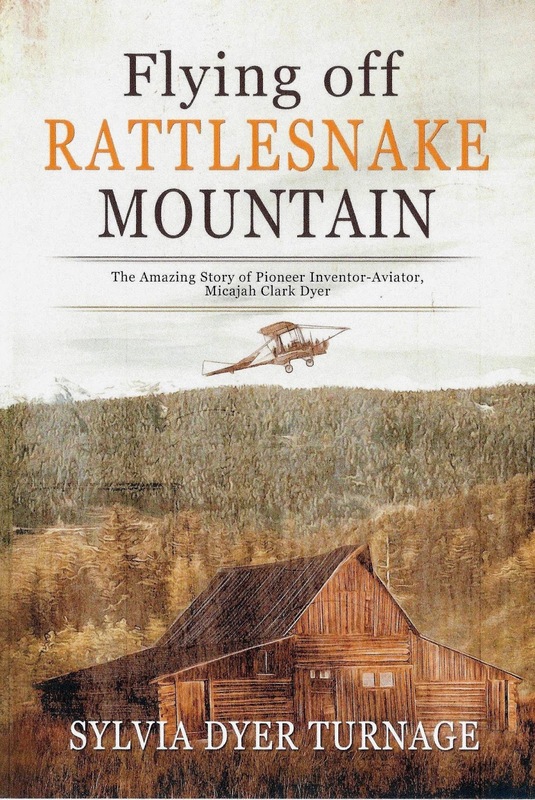 Throughout the story, you get a rare look into an isolated land and an era where no cameras or newspapers existed, yet where a genius--just a poor, self-educated farmer--built and flew a controllable aircraft long before anyone else was able to accomplish that feat. Who Was First to Fly? 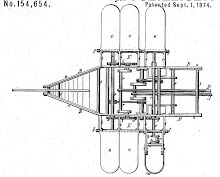 Of course, Micajah Clark Dyer was the first to fly a controllable airplane! He is truly Georgia's Pioneer Aviator having patented and flown an aircraft in the1870s. After you read the article (PDF link above), you can learn more about Clark in the older posts below. 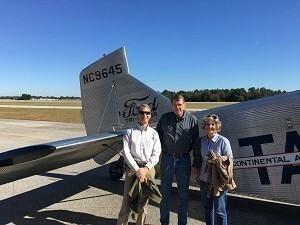 An interesting article posted recently by Scott Kimbler, a reporter for AccessWDUN, says Ford has built a replica of a 1929 airplane, and now passenger flights in it are available at the Lee Gilmer Memorial Airport in Gainesville, Georgia. Kimbler says the plane is owned by the Experimental Aircraft Association , and the Gainesville Chapter has brought the plane to Lee Gilmer Memorial Airport for people to enjoy flights into history. According to Kimbler, the Ford Tri-Motor was built in 1929 and was instrumental in ushering in the modern age of commercial flight, as well as airports. 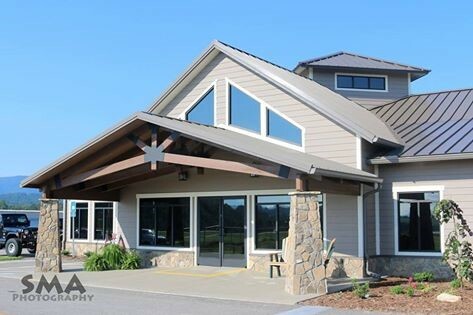 What a lovely new facility at the Blairsville Airport! Was Micajah Clark Dyer's runway on Rattlesnake Mountain more dangerous than this one? Watch the video below and decide. This mountain landing strip in New Guinea took 14 years to complete. It will make such a dramatic difference in the lives of the local villagers for whom a landing strip represents access to medical supplies, building materials, clothing, food etc. A huge day in the lives of the natives who live there, and what a test of flying skills for the young pilot! Her mom says, " Annie's book which she had put on hold came in today! I tried to tell her Poppa already has this book but she wanted to read it from the library!" Annie will be ahead of her classmates after learning who flew an airplane back in the 1800s! Way to go, Annie! Thank you for your interest in history. 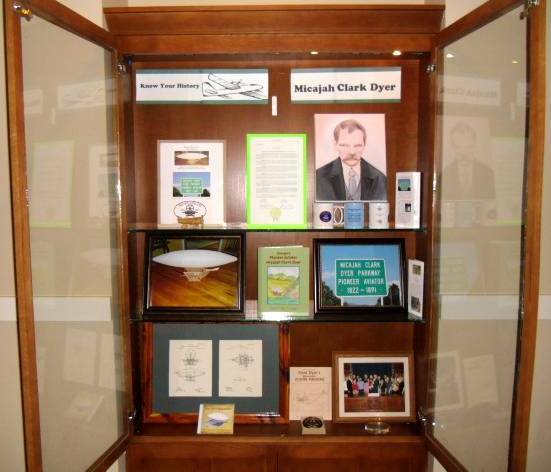 Micajah Clark Dyer (1822-1891) has been nominated for induction this year into the Georgia Aviation Hall of Fame at Robins Air Force Base in Warner Robins, Georgia, by Dr. Sylvan R. Dyer. 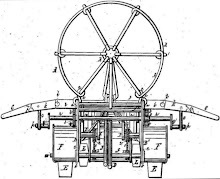 This is the third nomination Clark Dyer has received for this recognition based on his invention of an "Apparatus for Navigating the Air," for which he received U.S. Patent No. 154,654 on September 1, 1874. Then and there, Dr. Dyer submitted a formal nomination for induction of Clark into the Hall of Fame. The Board of Electors of the Hall of Fame will select inductees from a group of qualified nominees submitted during this fiscal year and, hopefully, Micajah Clark Dyer will take his rightful place of honor within the revered Hall of Fame when the Board makes its inductions in April 2018. This ultra-light plane was constructed by a man who builds his own airplanes and flies them over his fields. Amazingly, his airplanes are very simple and he uses machinery and materials that are locally available for building them. Here I am sitting in one of them, but I confess that I am not brave enough to fly in it! Know your history - On April 4, 2017, Blairsville-Union County Chamber of Commerce President, Regina Allison, interviewed Sylvia Dyer Turnage to learn about a part of history that is not too well known. That history is the saga of the 1874 invention of the flying machine by Micajah Clark Dyer of Union County. The interview was filmed by Mr. Mark Mote of Windstream for broadcasting a number of times on Cable Channel 4 during the month of April. Here is the link to the YouTube video of the interview. Enjoy! We are happy to have the history of Micajah Clark Dyer featured in a recent filming by Mr. Mark Mote with Windstream and Ms. Regina Allison, President of the Blairsville Chamber of Commerce. The video will air this week and next, April 11 through April 22, on Tuesdays and Thursdays at 10 a.m., 5 p.m. and 8 p.m., and on Saturdays at 11 a.m., 5:30 p.m. and 9:30 p.m., on Windstream Channel 4. We expect to have a video of the filming available to post here soon. "Every 6 weeks, a new episode of the Chamber Connection airs for Union County. In June we will be coming up on our 1 year anniversary of the show. I want to thank Mark Mote and Windstream for the opportunity to share information about our Chamber Members and our amazing community. I also want to thank the guests that have appeared on the show with me thus far; I have enjoyed spending the time with each of you and I have learned a great deal. "We recently taped the next episode which will air the weeks of April 11th through the 22nd. I enjoyed spending time learning about part of Union County History with Sylvia Dyer Turnage of the Micajah Clark Dyer Foundation. 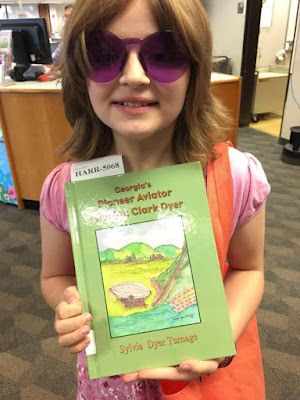 Sylvia has spent a lot of time researching and gathering information about her great, great grandfather, known as Clark Dyer to family and friends, a very talented inventor who studied the way birds flew and wondered, “Why couldn’t a man fly like a bird?” He received the patent on September 1, 1874 for his invention. The purpose of his invention, “navigating the air” as he liked to refer to it, was conceptualized and patented 29 years prior to the Wright Brothers’ famous First Flight. A model of his invention is on display at the Old Union County Courthouse along with a wealth of information about the History of Union County. A special thank you to Union County Historical Society for all that you do to preserve the history of Union County and your involvement in the Chamber and the Community. . . and thank you to Sylvia. . ."
Please visit our blog posts below to learn more about this remarkable pioneer aviator.